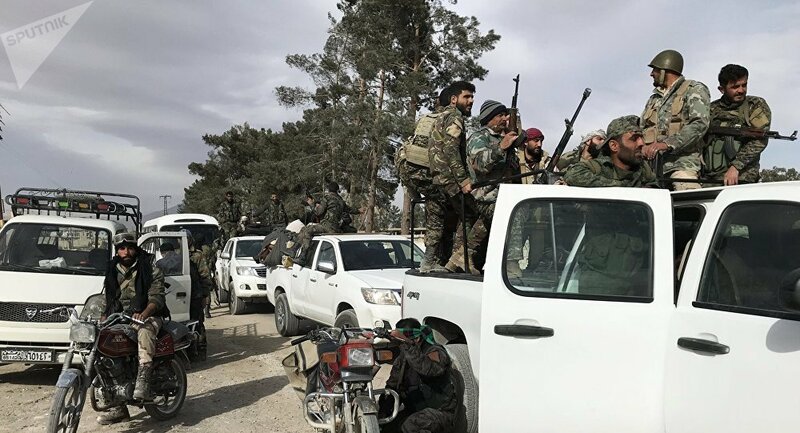 In a month-long offensive on Eastern Ghouta, pro-government forces are seeking to liberate the last major terrorist stronghold, squeezing insurgents and opening humanitarian corridors in order to guarantee the safety of civilians. According to Syrian state TV, citing its own correspondent, the Syrian army had given rebels in the Harasta pocket of Eastern Ghouta one hour to withdraw from the area. On March 16, the Syrian army command reported that government troops had already liberated 70 percent of Eastern Ghouta's territory, which terrorists had controlled since 2012. "At the moment more than 30,000 people have left [Eastern Ghouta], people continue to leave [the enclave]," spokesman for the Russian Defense Ministry's Center for Syrian reconciliation Maj. Gen. Vladimir Zolotukhin said earlier this week. Eastern Ghouta has been in the spotlight over the past several weeks, as the government forces launched a military campaign to banish terrorist groups from the area controlled by Jaysh al-Islam and Ahrar al-Sham groups, and the al-Nusra Front terrorist organization*. On February 24, the UN Security Council unanimously adopted Resolution 2401 that urged all belligerent parties to immediately halt all hostilities and adhere to a humanitarian pause across Syria in order to ensure the safe delivery of humanitarian aid, as well as medical evacuaion of those injured. The ceasfire regime does not apply, however, to military operations against terrorist groups. Militants continued to shell Damascus, with Russian President Vladimir Putin saying last month that terrorists in Eastern Ghouta had been shelling the capital around 50-80 times a day, including the region of Russia’s embassy.